Are metal shoes my only option for riding on the road? Do you frequently ride on the road? Farrier, Dean Bland, explains the options for your horse's hooves when riding on the road. Farriers are currently exploring the opportunities that plastics can offer and there are some great solutions out there. If I was your farrier, I'd start by finding out what issue you're trying to address. As farriers, we design a solution that's appropriate for the work your horse is doing. Considering the surface that you're working him on is a big part of that. Tarmac surfaces create particular challenges. They're hard, unyielding surfaces and are associated with sending high-frequency shockwaves back through the limb. They're also abrasive and become more so as they deteriorate. 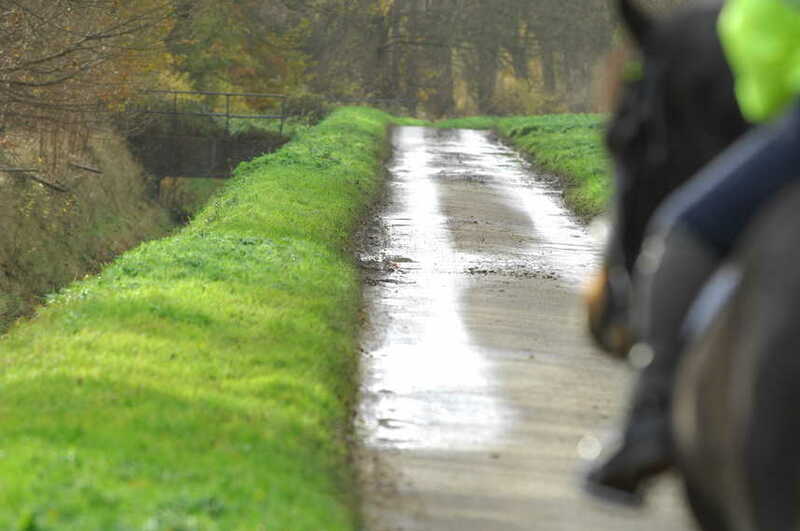 The introduction of steel slag in new roads has, anecdotally, led to horses slipping more. Finally, tarmac roads are laid down with a camber to assist surface water run-off. Is your horse sensitive to the high frequency shock? Is he sensitive to hoof wear? Has he lost confidence through lack of traction? Is he sensitive to camber and the uneven forces this creates? My advice would be to talk to your farrier and help them direct you towards a design solution that's right for you and, importantly, your horse.